Calling Wolverhampton! We are playing at the Newhampton Arts Centre on Saturday 8th May. Apparently it’s been selling well so buy a ticket eh. Son of Kirk are supporting and they sound niiiice. Also, we are doing two Great Escape Fringe shows on 15th. 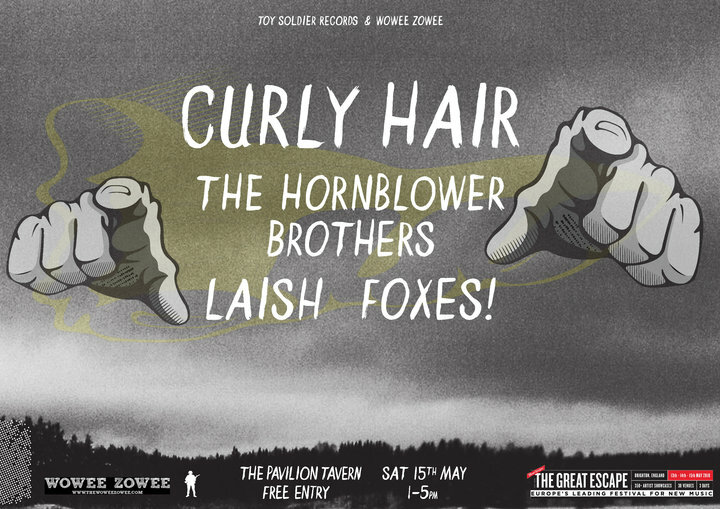 A midday show with Curly Hair, The Hornblower Brothers and Foxes! at Pav Tav. And then Danny is doing a solo show at The Geese in Hanover. I believe both are free so get on down. I’ll be hosting the Trembling Bells after their Pavilion Theatre show and probably still a bit confused after an early morning show on Friday night with Sons of Noel and Adrian/Peggy Sue/Alessi’s Ark. Here’s a flyer for the Pav Tav.